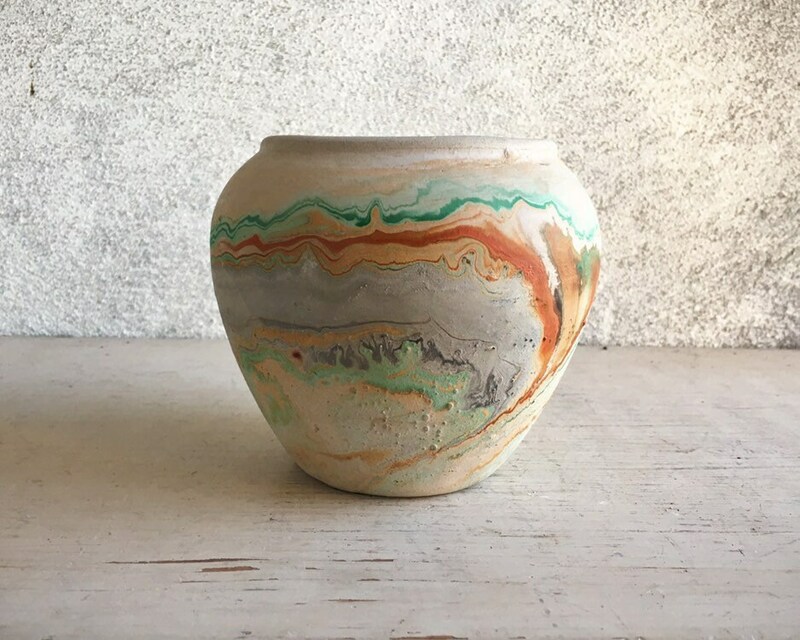 This vase bears the stamp Nemadji Pottery U.S.A., the Moose Lake, Minnesota, company that began producing swirled pottery in 1929. 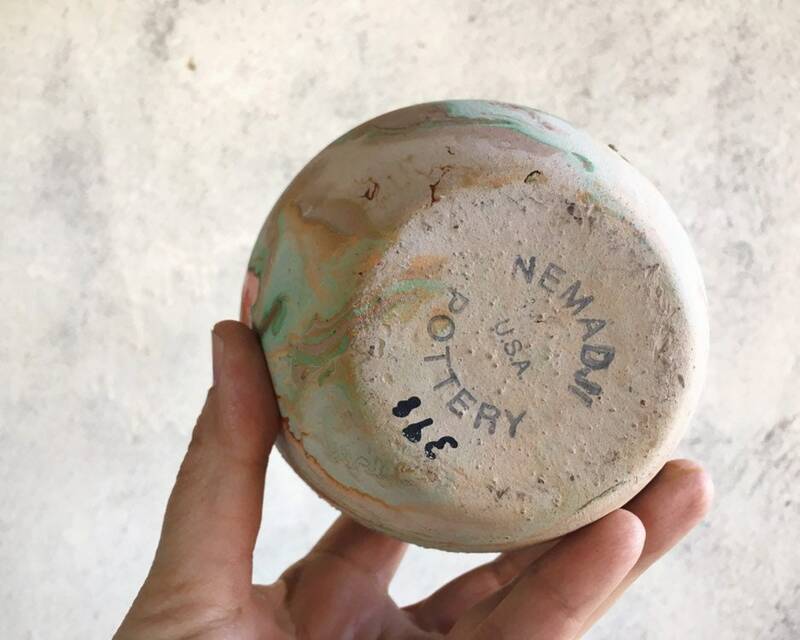 From Etsy blog post History Lesson: Nemadji Pottery, "The name 'Nemadj' is an Ojibwe word meaning 'left-handed', but was easily misunderstood to be the name of a tribe. 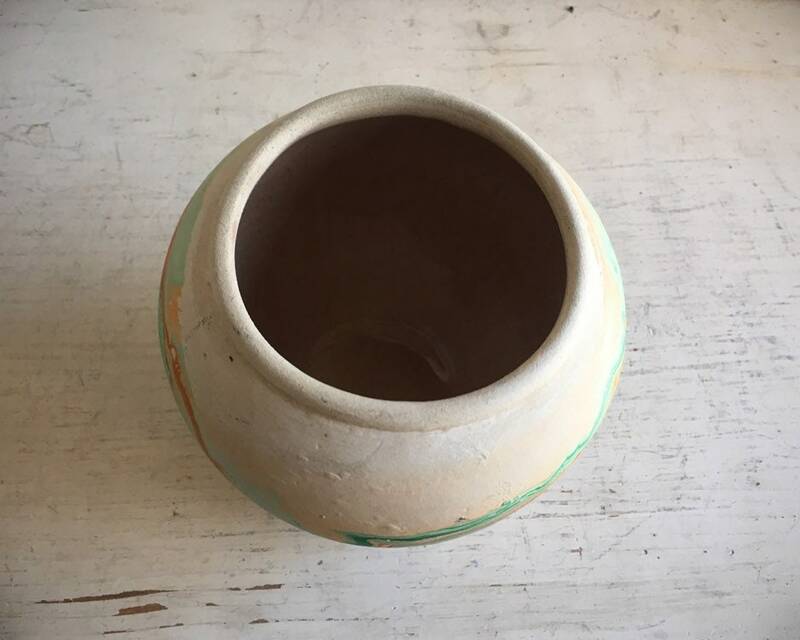 In the information sheet that accompanied their pots, Nemadji stressed that their wares were made with the same clays and shapes used by Native Americans. The connection of this marbled style of decoration with Native American production was more assumption than fact, but Nemadji was happy to encourage the idea. 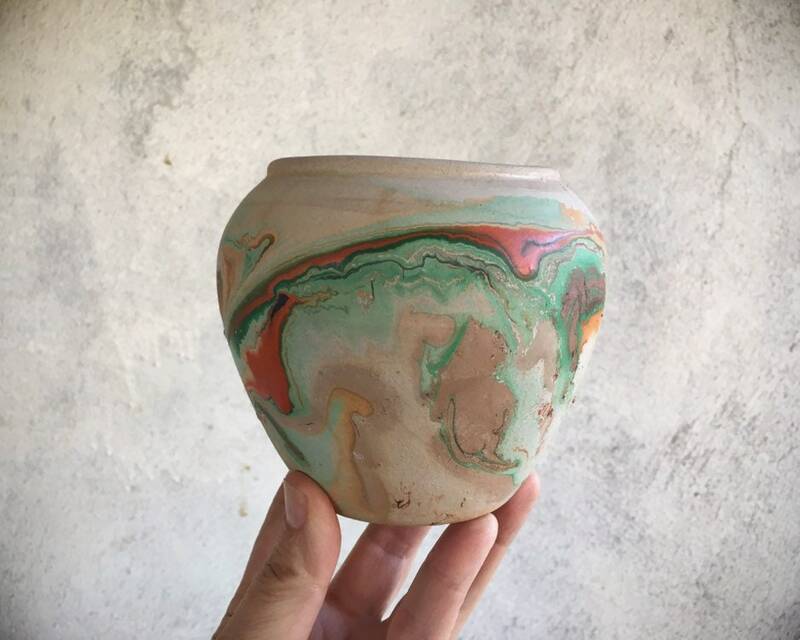 In reality, Eric Hellman, a Nemadji employee and Danish immigrant, came up with the idea to decorate the vases using simple house paint." I've come across a fair share of Nemadji...and I pass on most. 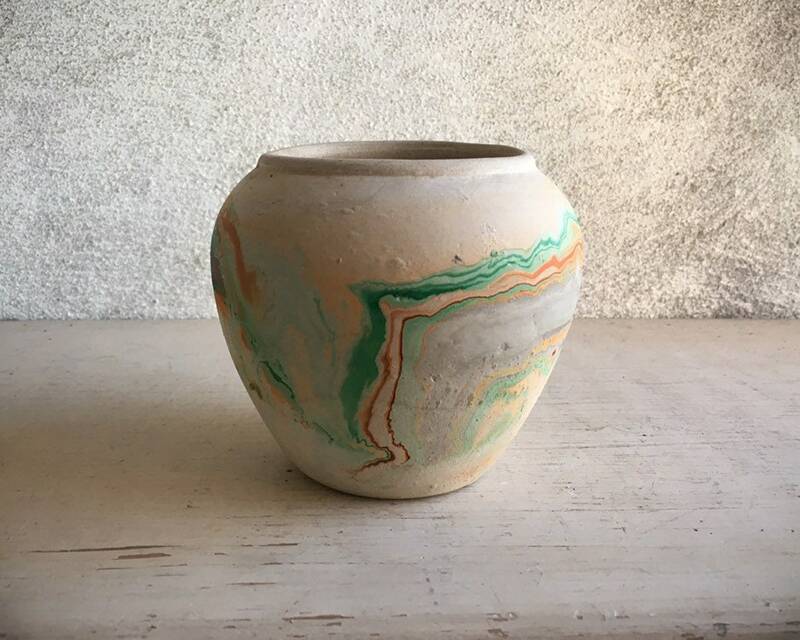 Yet this vase stands out for the beautiful swirl of orange and green--which call to me for the contrast of each on the color wheel. 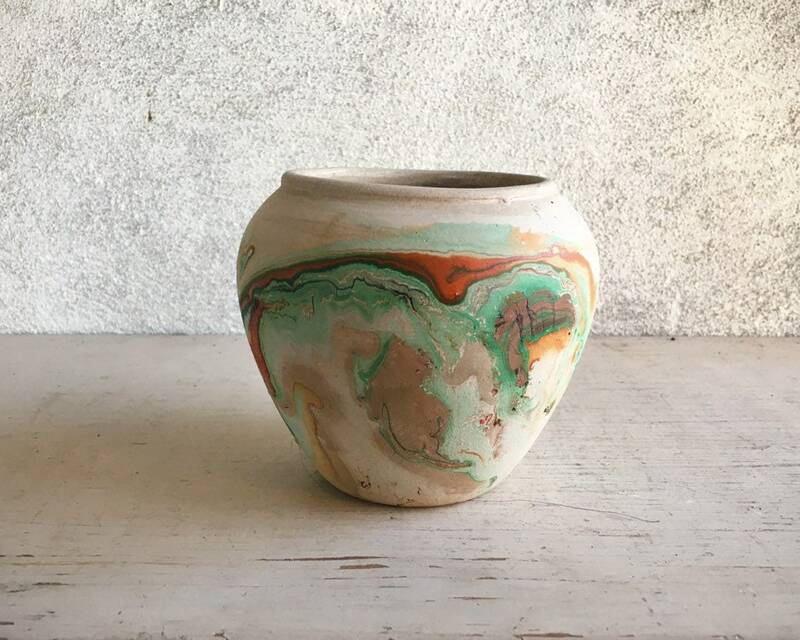 The vase measure 4" tall by just over 4" in width. No chips or cracks, and the background is in great war, condition.